It's the 1940s, and the world is still riding high from the successful conclusion of the war. But behind the scenes, a whole new kind of trouble is brewing as "somewhere in the middle of New Mexico, a secret intricate plot to extinguish humanity has been unravelling for a long time." Enter young Betty Anderson, who is just one of the victims who found themselves "being woken in the middle of the night by a deafening sound and the entire house shaking to its core." This mysterious event caused complete memory loss, leaving Betty "alone in the world and a stranger in her own mind." Most people might fold under such pressure, but fortunately Betty is "made of sterner stuff and begin[s] searching for an explanation." 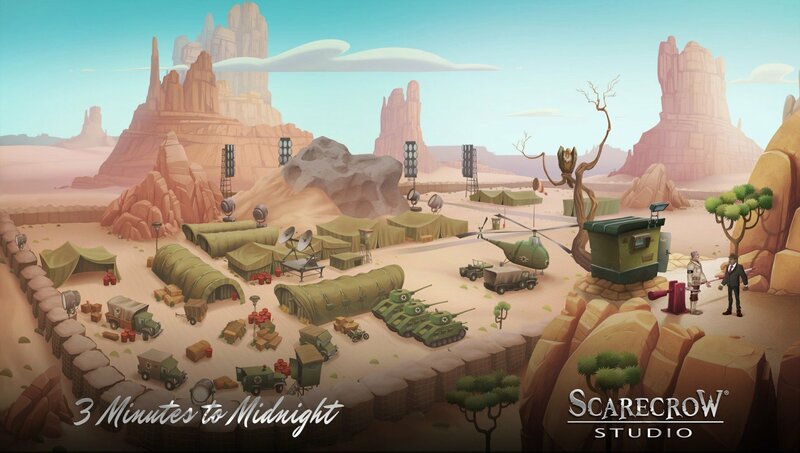 Inspired by the point-and-click classics, 3 Minutes to Midnight is a traditional third-person adventure with "more than 100 various scenes" presented in stunning hand-drawn artwork, as displayed in the teaser trailer and early screenshots released. The gameplay will be equally familiar to genre fans, promising a "very personal, complex, and interactive story driven by exploration and puzzle-solving," with a wide variety of "peculiar characters" to meet, and even a number of hidden Easter eggs for the more observant adventurers to discover along the way. 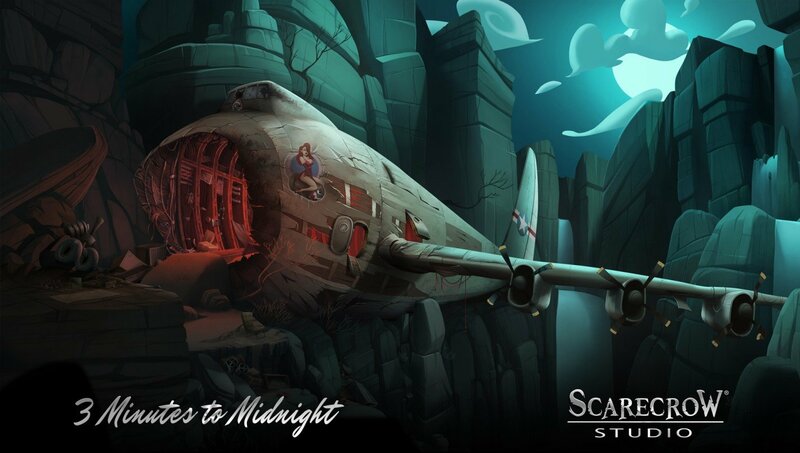 The plan is to release 3 Minutes to Midnight in the first quarter of 2019 for Windows, Mac and Linux, PS4, Xbox One and Switch, as well as iOS and Android devices. In order to make that goal a reality, however, the indie Irish developer intends to launch a Kickstarter campaign later this year. In the meantime, you can learn more about the game through its official website.